For the current rules, policy and list of member countries, see Schengen Area. The free movement of persons was a core part of the original Treaty of Rome and, from the early days of the European Economic Community, nationals of EEC member states could travel freely from one member state to another on production of their passports or national identity cards. However, systematic identity controls were still in place at the border between most member states. Disagreement between member states led to an impasse on the abolition of border controls within the Community, but in 1985 five of the then ten member states – Belgium, France, Luxembourg, the Netherlands, and West Germany – signed an agreement on the gradual abolition of common border controls. The agreement was signed on the Princess Marie-Astrid boat on the river Moselle near the town of Schengen, Luxembourg, where the territories of France, Germany and Luxembourg meet. Three of the signatories, Belgium, Luxembourg, and the Netherlands, had already abolished common border controls as part of the Benelux Economic Union. The Schengen Agreement was signed independently of the European Union, in part owing to the lack of consensus amongst EU member states over whether or not the EU had the jurisdiction to abolish border controls, and in part because those ready to implement the idea did not wish to wait for others (at this time there was no enhanced co-operation mechanism). The Agreement provided for harmonisation of visa policies, allowing residents in border areas the freedom to cross borders away from fixed checkpoints, the replacement of passport checks with visual surveillance of vehicles at reduced speed, and vehicle checks that allowed vehicles to cross borders without stopping. In 1990, the Agreement was supplemented by the Schengen Convention which proposed the abolition of internal border controls and a common visa policy. It was this Convention that created the Schengen Area through the complete abolition of border controls between Schengen member states, common rules on visas, and police and judicial cooperation. The Schengen Agreement and its implementing Convention were enacted in 1995 only for some signatories,[which?] but just over two years later during the Amsterdam Intergovernmental Conference, all European Union member states except the United Kingdom and Ireland had signed the Agreement. It was during those negotiations, which led to the Amsterdam Treaty, that the incorporation of the Schengen acquis into the main body of European Union law was agreed along with opt-outs for Ireland and the United Kingdom, which were to remain outside of the Schengen Area. 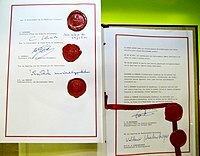 In December 1996 two non-EU member states, Norway and Iceland, signed an association agreement with the signatories of the Agreement to become part of the Schengen Area. While this agreement never came into force, both countries did become part of the Schengen Area after concluding similar agreements with the EU. The Schengen Convention itself was not open for signature by non-EU member states. In 2009, Switzerland finalised its official entry to the Schengen Area with the acceptance of an association agreement by popular referendum in 2005. Now that the Schengen Agreement is part of the acquis communautaire, it has, for EU members, lost the status of a treaty, which could only be amended according to its terms. Instead, amendments are made according to the legislative procedure of the EU under EU treaties. Ratification by the former agreement signatory states is not required for altering or repealing some or all of the former Schengen acquis. Legal acts setting out the conditions for entry into the Schengen Area are now made by majority vote in the EU's legislative bodies. New EU member states do not sign the Schengen Agreement as such, instead being bound to implement the Schengen rules as part of the pre-existing body of EU law, which every new entrant is required to accept. This situation means that non-EU Schengen member states have few formally binding options to influence the shaping and evolution of Schengen rules; their options are effectively reduced to agreeing or withdrawing from the agreement. However, consultations with affected countries are conducted prior to the adoption of particular new legislation. In 2016, border controls were temporarily reintroduced in seven Schengen countries, including Austria, Denmark, France, Germany, Norway, Poland, and Sweden, in response to the European migrant crisis. Portugal has since reintroduced checks several times along its border with Spain, during the UEFA Euro 2004 championships and when Portugal hosted the NATO 2010 Lisbon summit. The most recent checks were temporarily reintroduced on the border from May 10, 2017 to May 14, 2017, during Pope Francis's visit to Fátima, Portugal. ^ a b Respectively Articles 2, 6 and 7 of the Schengen Agreement, eur-lex.europa.eu; accessed 27 January 2016. ^ European Commission. "Schengen area". Europa web portal. Retrieved 13 January 2011. ^ Anonymous (6 December 2016). "Schengen Area - Migration and Home Affairs - European Commission". Migration and Home Affairs - European Commission. ^ Lungescu, Oana. "Fortress Europe". British Broadcasting Corporation. Retrieved 13 April 2013. ^ Craig, Paul; Gráinne de Burca (2003). EU Law: Text, Cases and Materials (3rd ed.). Oxford: Oxford University Press. p. 751. ISBN 0-19-924943-1. ^ The complete acquis, including the fundamental Agreement and Convention and some subsequent acts and instruments brought about meanwhile in its legal framework, had been published here: "Official Journal of the European Communities – The Schengen Acquis" (PDF). 22 September 2000. Retrieved 25 November 2007. .
^ "Schengen Area Countries List - Schengen Zone". Schengen VISA Information. Retrieved 28 July 2017. ^ Allen M. (March 2009). Switzerland's Schengen entry finally complete. swissinfo.ch; retrieved 14 June 2013. ^ Example: By article 39 subsection 1 of the Schengen Borders Code, Articles 2 to 8 of the Schengen Agreement had been repealed – "Regulation (EC) No 562/2006 of the European Parliament and of the Council of 15 March 2006 establishing a Community Code on the rules governing the movement of persons across borders (Schengen Borders Code)" (PDF). 13 April 2006. Retrieved 25 November 2007. .
^ "The Schengen area and cooperation". Summaries of EU legislation. European Commission. Retrieved 4 April 2013. In practice, this involvement takes the form of mixed committees that meet alongside the working parties of the EU Council. They comprise representatives of the Member States' governments, the Commission and the governments of third countries. Associated countries therefore participate in discussions on the development of the Schengen acquis, but do not take part in voting. Procedures for notifying and accepting future measures or acts have been laid down. ^ "Schengen: Controversial EU free movement deal explained - BBC News". BBC News. Retrieved 6 June 2016. ^ "DGs - Migration and Home Affairs - What we do - ...Schengen Area - Reintroduction-border-control". ec.europa.eu. Retrieved 6 June 2016. ^ "Portugal declares Papal holiday". Retrieved 28 April 2017. 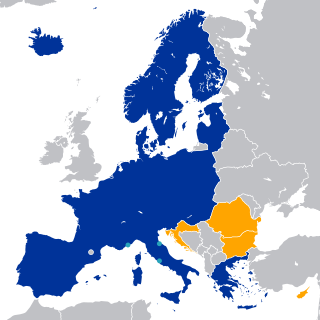 Wikimedia Commons has media related to Schengen Agreement. The Nordic Passport Union allows citizens of the Nordic countries – Iceland, Denmark, Norway, Sweden, and Finland – to travel and reside in another Nordic country without any travel documentation or a residence permit. 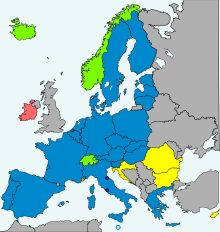 Since 25 March 2001, all five states have also been within the Schengen Area. The Faroe Islands are part of the Nordic Passport Union but not the Schengen Area, while Greenland and Svalbard are outside both. However, Greenland has an open border with all Nordic countries, and allows Nordic citizens to enter, settle and work without requiring a passport or permits. Svalbard allows Nordic citizens to settle and work without permits, as a result of the Svalbard Treaty, however with the exception of Norwegian citizens, valid travel documentation is required to enter Svalbard. Furthermore, as citizens of a Nordic country, those from Svalbard and Greenland are permitted to reside in any other Nordic country. Andorra–European Union relations comprise various bilateral affairs between the Principality of Andorra and the European Union (EU). A customs union between the two entities is the principal area of robust formal agreement. The visa policy of the Schengen Area is set by the European Union and applies to the Schengen Area and to other EU member states without the opt-outs obtained by Ireland and the United Kingdom. The visa policy allows nationals of certain countries to enter the Schengen Area without a visa for short stays and requires others to have a visa. There are a number of microstates in Europe. While there is no clear consensus on which political units qualify as "microstates", most scholars view Andorra, Liechtenstein, Monaco, San Marino and the Vatican City as examples of such states. At the same time, some academics dispute even qualifying Vatican as a state arguing that it does not meet the "traditional criteria of statehood" and that the "special status of the Vatican City is probably best regarded as a means of ensuring that the Pope can freely exercise his spiritual functions, and in this respect is loosely analogous to that of the headquarters of international organisations." According to the qualitative definition of microstates suggested by Dumienski (2014), microstates can also be viewed as "modern protected states, i.e. sovereign states that have been able to unilaterally depute certain attributes of sovereignty to larger powers in exchange for benign protection of their political and economic viability against their geographic or demographic constraints." And indeed, all of the European microstates are sovereign states that function in a close association with their respective larger neighbour. Currently, all of the European microstates have some form of relations with the European Union. 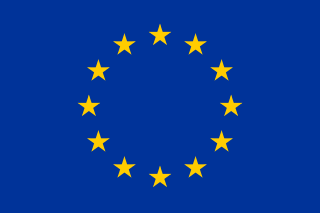 In general, the law of the European Union is valid in all of the twenty-eight European Union member states. However, occasionally member states negotiate certain opt-outs from legislation or treaties of the European Union, meaning they do not have to participate in certain policy areas. Currently, four states have such opt-outs: United Kingdom, Denmark, Republic of Ireland and Poland. 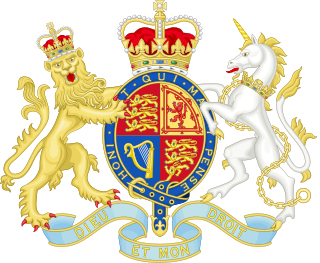 The visa policy of the United Kingdom is the policy by which Her Majesty's Government determines who may and may not enter the country of the United Kingdom, and the Crown dependencies of Guernsey, Jersey, and the Isle of Man. Visitors must obtain a visa unless they are exempt. Asylum in the European Union (EU) has its roots in the 1951 Convention Relating to the Status of Refugees, an agreement founded on Article 14 of the Universal Declaration of Human Rights. Following the adoption of the Schengen Agreement on the elimination of internal border controls of signatory states and its subsequent incorporation into the EU legislative framework by the Amsterdam Treaty, the EU set up a Common European Asylum System (CEAS) to unify minimum standards related to asylum, leaving up to EU Member States the discretion to establish procedures for obtaining and withdrawing international protection. National identity cards are issued to their citizens by the governments of all European Union member states except Denmark, Ireland and the United Kingdom, and also by Liechtenstein. Citizens holding a national identity card, which states EEA or Swiss citizenship, can not only use it as an identity document within their home country, but also as a travel document to exercise the right of free movement in the EEA and Switzerland. Identity cards that do not state EEA or Swiss citizenship, including national identity cards issued to residents who are not citizens, are not valid as a travel document within the EEA and Switzerland.